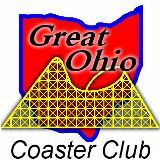 Thank you for choosing to give the gift of a membership in The Great Ohio Coaster Club! First we need to get some information from you so that we can personalize the gift membership certificate. You will be entering your recipients information on the next screen. Please supply your phone number so we may contact you in the event we have a question regarding your gift. Once you have entered your gift recipients information and submitted and paid for the membership you may check your email for your receipt, and a PDF gift certificate you may print out to present. Your Email Address's do not match. Please verify both before submitting. OK, we've got your info... Now we will help you pick the correct membership you wish to give to add to your cart. Please select the type of membership you are giving by clicking on the "radio" buttons below. When the "drop down" menu appears, please select the Membership to add it to your Cart. If you decide you made a mistake please "Un-select" the Membership in the drop down menu before changing your selections. NOTE: For Electronic Edition Memberships we will need a valid E-Mail address for the main recipient so we may create a website account for them to download their electronic edition of The Streak. Now we need the name and mailing address for the individual(s) you are supplying this gift for. If you supply us with their valid email address (required for electronic level members) , we will also email them their website login credentials on the date you specify. The first person listed (Primary Name) would be the name of the Single Member, or the head of household for Couple and Family memberships. Please enter Canadian Postal in A1A 1A1 or A1A1A1 format. OK... Since you selected a Couple Membership, we need the additional name for the other Couple partner... Please enter both First and Last Names below. Do Not enter the Primary Name a second time as we've already got that info. You may add a short Gift Note if you wish which will be included in the Announcement mailed and emailed to your gift recipient. Finally, we need to know when you would like us to send the membership materials to your gift recipient. We will keep your secret until then, and no membership materials or emails will be sent to your recipient until that date. Note: We can not guarantee that the mailed membership materials will arrive on the requested date, but will ensure it is mailed so it does not arrive before the requested date. Every attempt will be made to send the email announcement to your recipient on the requested date, but not before. Note: You do not have to sign up for a PayPal Account to make a credit card payment. Just click on the "Don't Have a PayPal Account?" Link on the payments screen to open the window where you may enter your credit card information. Visa, MasterCard, Discover and American Express Cards accepted.